Hearts made it four wins from five with a thoroughly deserved victory over St Johnstone this afternoon. 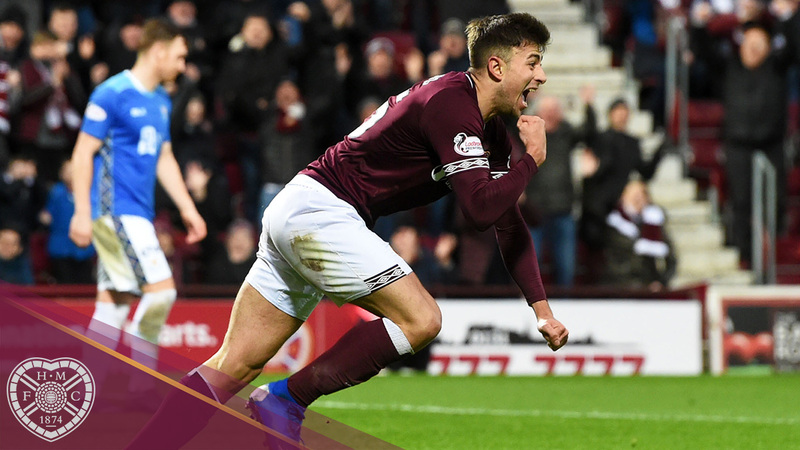 A brace of first-ever goals from Marcus Godinho and Callumn Morrison sealed the win, on an afternoon when the men in maroon struck the woodwork three times. Manager Craig Levein made five changes from the side that lost in midweek to Dundee. Steven Naismith returned from injury and John Souttar made his first start in three months after recovering from injury. There were also places for Ollie Bozanic, Jake Mulraney and Godinho as Conor Shaughnessy, Demi Mitchell, David Vanecek, Callumn Morrison and Aidan Keena missed out. A tight opening ten minutes was followed by Hearts hitting the woodwork. Mulraney showed quick feet on the left to swing in a great cross that Liam Gordon got a touch on, sending the ball spinning into the air on the edge of the six-yard box. Godinho was brave to win the header against Zander Clark, but he could only send it onto the bar, with the St Johnstone ‘keeper getting a vital touch on it. Some neat passing saw the Jambos go close in the 28th minute. Arnaud Djoum win possession in the middle of the park and moved it forward to Naismith, who got into the box before sending the ball to Olly Lee. The midfielder was forced wide but backheeled into the path of Djoum, who teed up Bozanic 20-yards out and the Aussie drilled into a crowd inside the six-yard box, with Naismith unable to get the crucial touch before Clark could smother the danger. The woodwork denied Hearts again six minutes later. Djoum played a sublime defence-splitting pass for Mulraney to run onto, leaving Richard Foster for dead, but his low shot was diverted onto the post by the left-leg of Clark. Incredibly, two minutes into the restart, Hearts hit the post again. Jason Kerr failed to deal with Christophe Berra’s header forward – under pressure from Naismith – and Sean Clare ran on to the ball inside the box and blast beyond Cark, only to watch the ball canon back off the post. The deadlock as finally broken on 52 minutes and the Jam Tarts got the goal they so richly deserved. Souttar’s deft ball into the box was killed dead with one touch by Godinho, before the Canadian rifled home from eight-yards out. The men in maroon were playing with their tails up and threatened the St Johnstone goal once again. Bozanic’s pass forward was dinked into the path of Clare by Naismith, but the Englishman slipped inside the box and could only drag his effort wide. 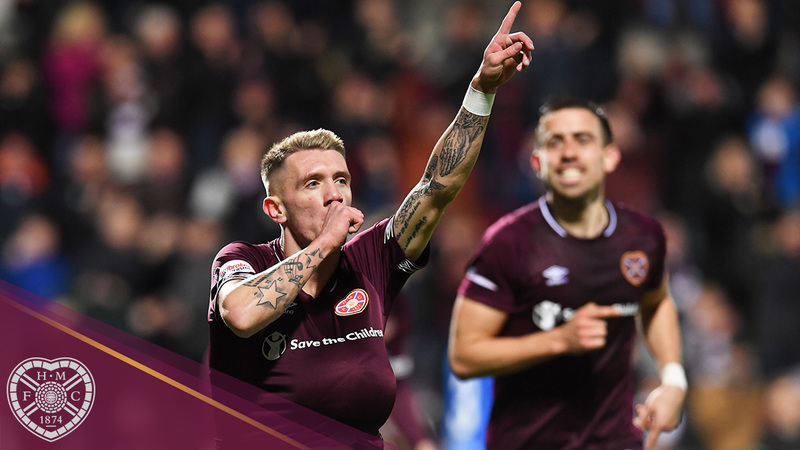 Hearts kept up the pressure, with Michael Smith robbing substitute Michael O’Halloran of possession in the 75th minute and sending it inside to Clare, but his snapshot from 25-yards out was comfortably saved by Clark. Clark came to Saints’ rescue again six minutes from time when substitute Callumn Morrison burst forward and played in Naismith who carried it into the box before finding Clare on the left, but his shot was well blocked by the Saints ‘keeper. 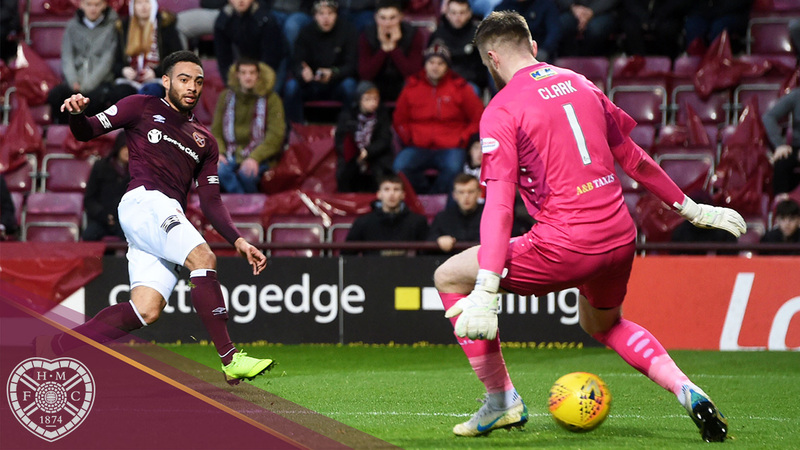 Hearts were again denied by Clark in the closing stages after Naismith was bundled over by Matthew Kennedy and Lee stepped up to curl a sweet 20-yard set piece over the wall, but Clark threw himself to his right to tip the ball around the post. The killer second goal came moments later, and Tynecastle erupted after Morrison scored his first ever Hearts goal. The Jambos broke up the park with ball being moved into the middle with Lee, and he was able to send Morrison through on the right, and the winger smashed home from inside the box and beyond Clark, into the opposite corner. 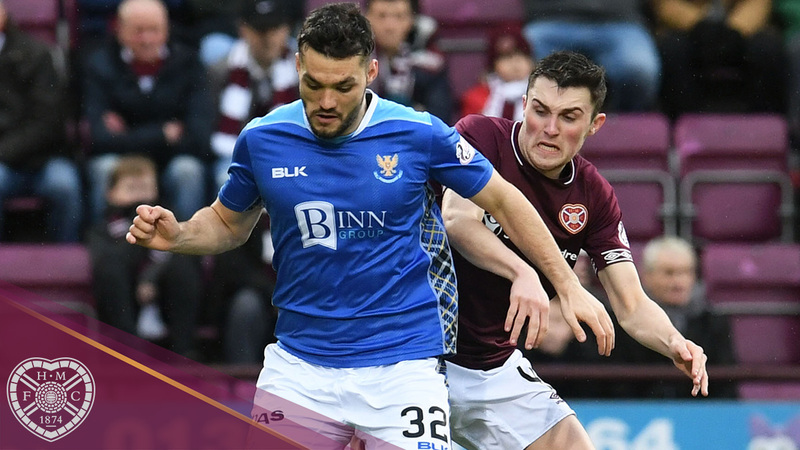 An overall polished performance from Hearts, who never looked in any danger of conceding against a high-flying Saints side. Hearts: Doyle, Smith, Souttar, Berra, Bozanic, Lee, Clare (Vanecek, 86'), Djoum, Naismith, Mulraney (Morrison, 81'), Godinho (Mitchell, 79'). Subs: Zlamal, Shaughnessy, MacLean, Cochrane. St Johnstone: Clark, Tanser, Shaughnessy, Davidson, Kerr, Foster, Gordon (O'Halloran, 59'), Craig, Callachan (Swanson, 57'), Watt (Hendry, 69'), Kennedy. Subs: Hurst, Alston, Anderson, Wotherspoon.